We are always excited to bring you remarkable stories — the ones deeply rooted in our fascinating culture and history. The stories that have been passed down through generations mixed with the diversity of our land and its people. In this month’s newsletter we highlight the importance of celebrations. One of the main types of celebrations in Greece is the village feast day. As we traverse through mainland Greece we take you to Arachova where you can witness the Panigiraki – the feast day of Agios Giorgos- which marks winter’s end. We’ve also introduced a new section on our blog dedicated to corporate travel in Greece. There is no limit to creativity, that’s why when it comes to business travel, a private island corporate retreat in Greece provides the ideal surroundings and conditions for successfully combining business with pleasure. Don’t you think? 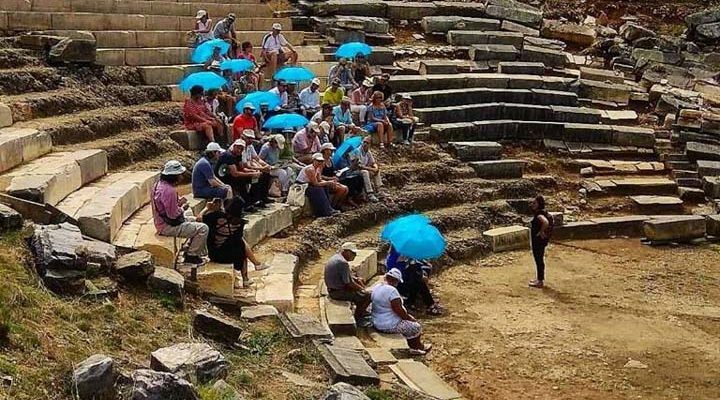 Last but not least we introduce you to an inspiring group of people who have started a groundbreaking project of reviving ancient theatres in Greece. In our interview with President and Founding Member, Ioannis -Stavros Benos we discover the wonderful initiative which will introduce you, our dear readers to some of the most educational, inspiring and historically rich routes in Greece. Are you curious to try any of these experiences?